When seasoning your burrito meat you need some extra because burritos are actually a whole meal in a tortilla. The meats, vegetables and rice rolled into a tortilla. 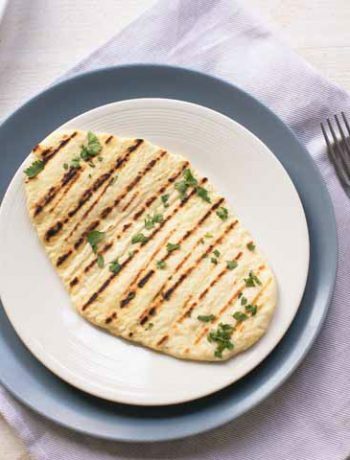 So to not let the main ingredients get lost in the tortilla you need a good seasoning mix. That is what we are making today. 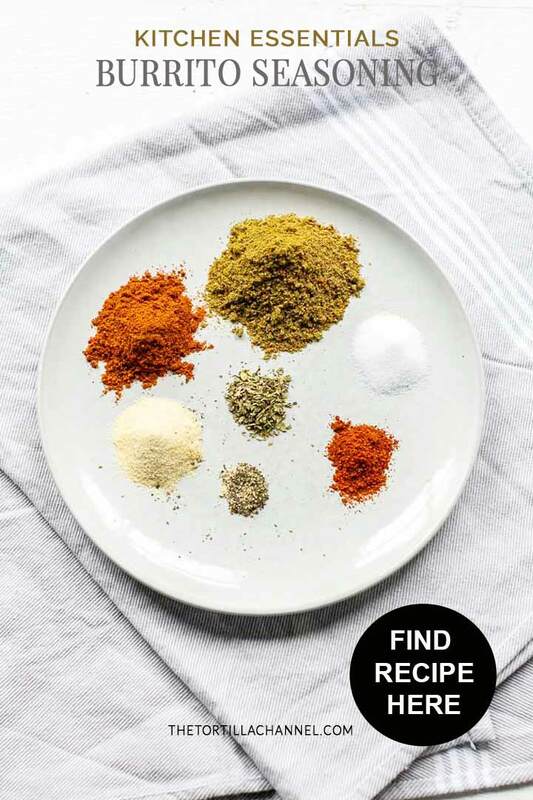 You can also make all of these seasoning mixes yourself. But burrito seasoning mix is not that widely available in grocery store. Fortunately we have the Tortilla Channel and you can find it here. 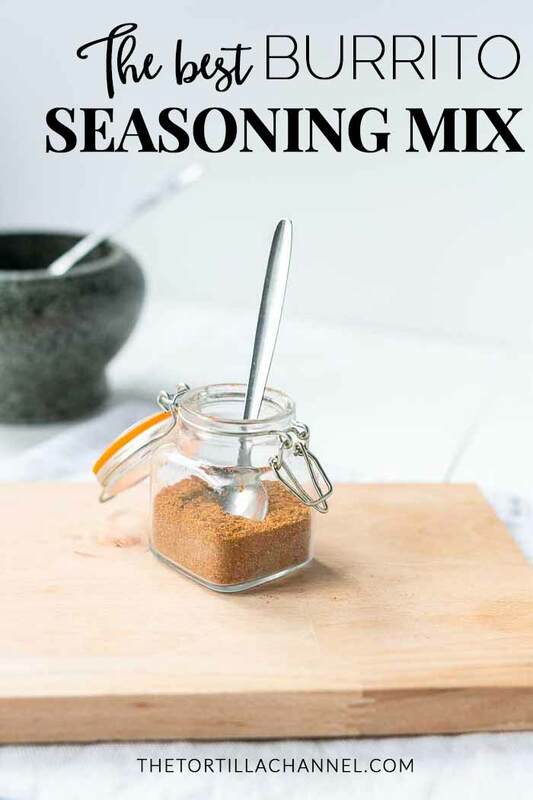 If you have looked at the other seasoning mixes on the Tortilla Channel you know that it is super easy to make your own spice mix. 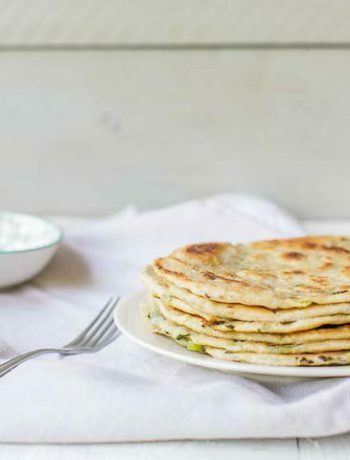 The main part is that you have the ingredients available and measure them according to the recipe. 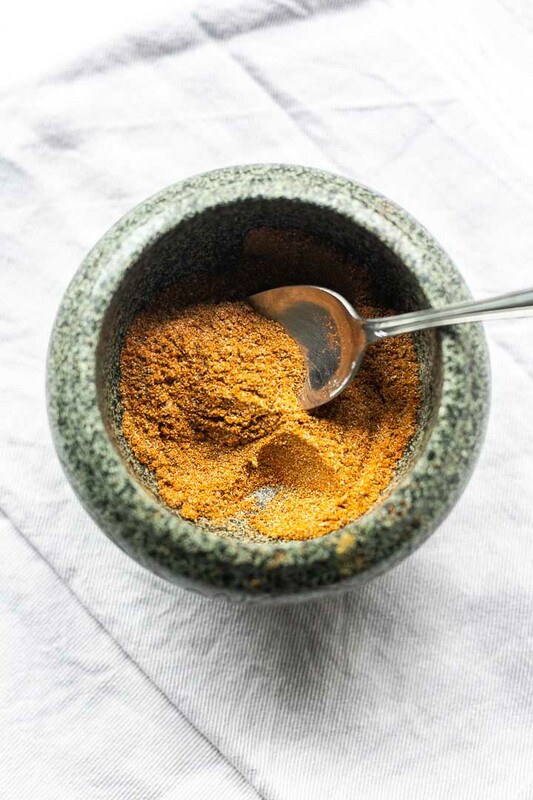 This burrito seasoning recipe calls for a little heat. You can use either Cayenne pepper or hot Chili powder. 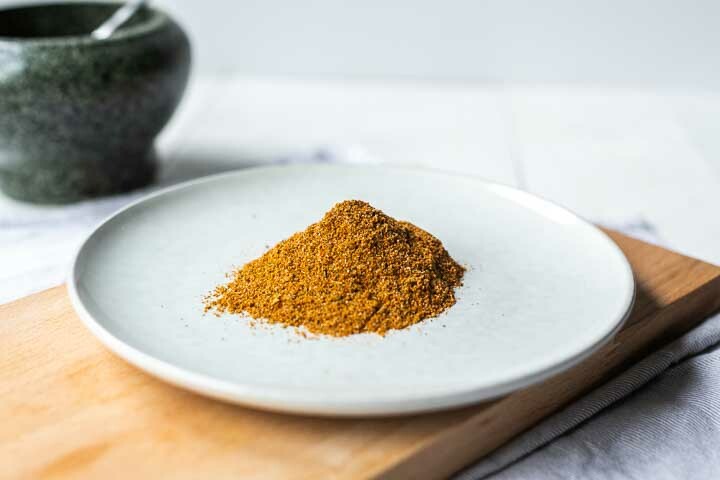 Be aware there is a difference Chili powder used in American recipes which is usually a spice mix in itself where as in Europe Chili powder is a one ingredient hot spice. 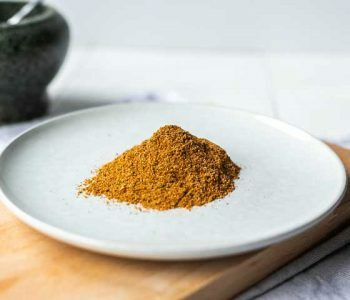 So if you have the hot chili powder in your pantry you can use it else use Cayenne pepper or chili flakes. 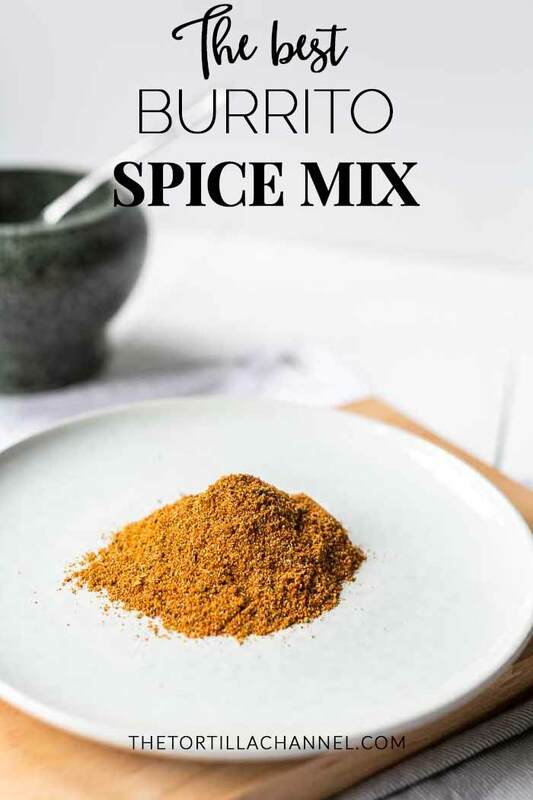 Put all of the measured spices in a bowl and stir it through. Stir at least a minute to make certain all of the ingredients are thoroughly combined. You want to prevent that one tablespoon is more spicy than the second tablespoon just because you did not stir it through. Put the homemade burrito seasoning mix in glass jar and store in a dry dark place like a kitchen cabinet. 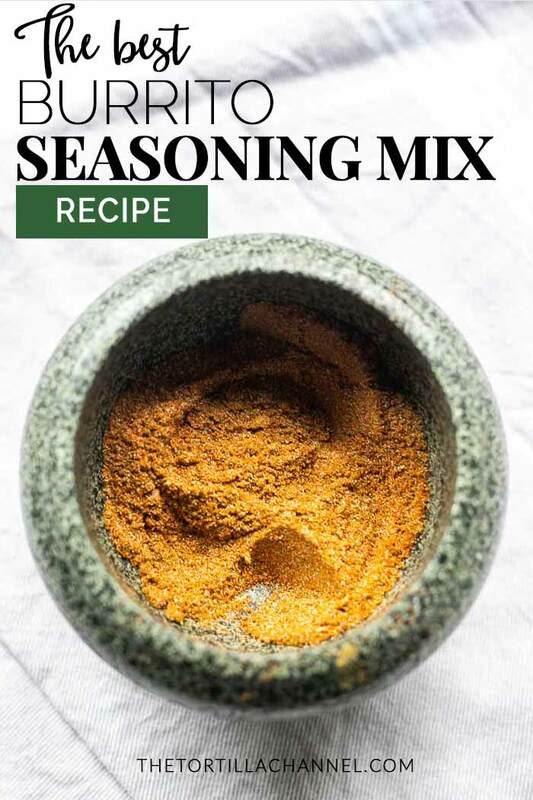 Obviously you can use this burrito seasoning mix in your burrito recipes. 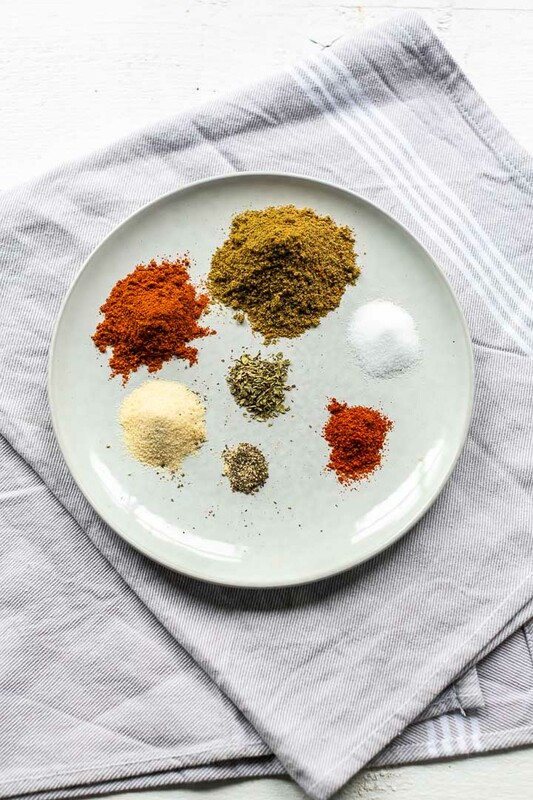 Here some examples of recipes to use this seasoning mix in. 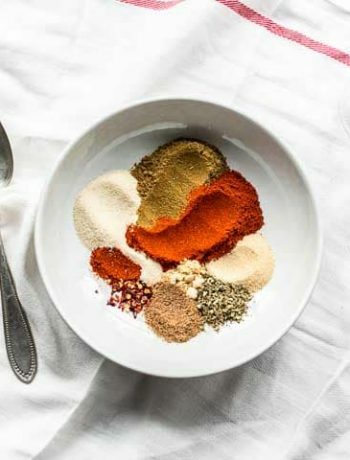 Have fun with this burrito seasoning recipe! Made a recipe tag @thetortillachannel on Instagram and PIN to Pinterest. 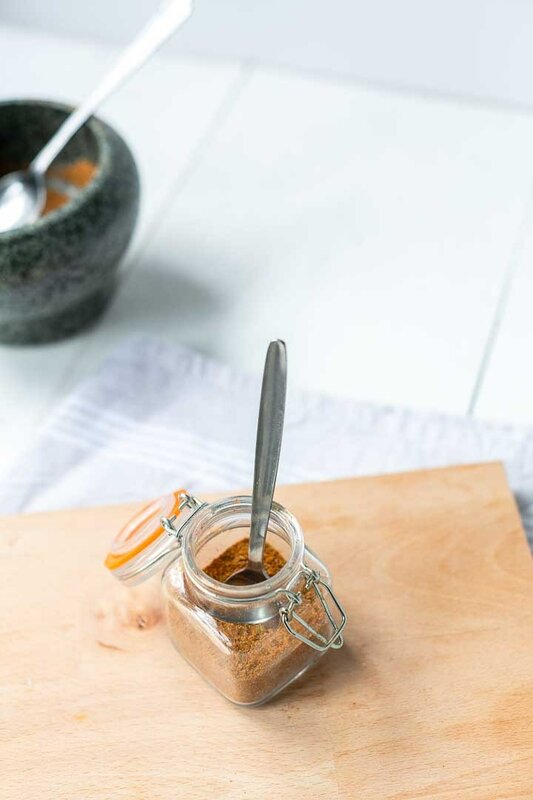 The best burrito seasoning recipe to spice up your meals. Easy and cheap to make yourself. 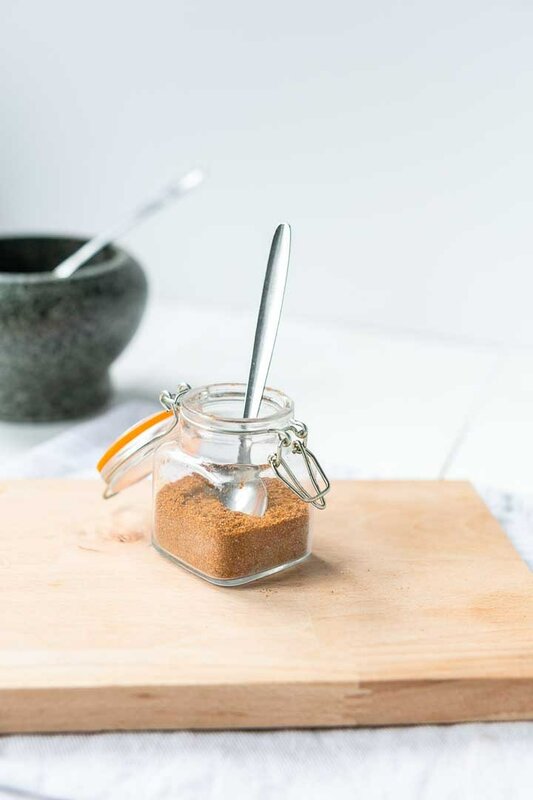 All you need is some spices and a glass jar for storage. Question on the burrito seasoning. How much of the mixture do you use per pound of hamburger generally? I use about 2 tbsp of seasoning per pound of beef. When the meat is cooked I always have a little taste and add if needed.